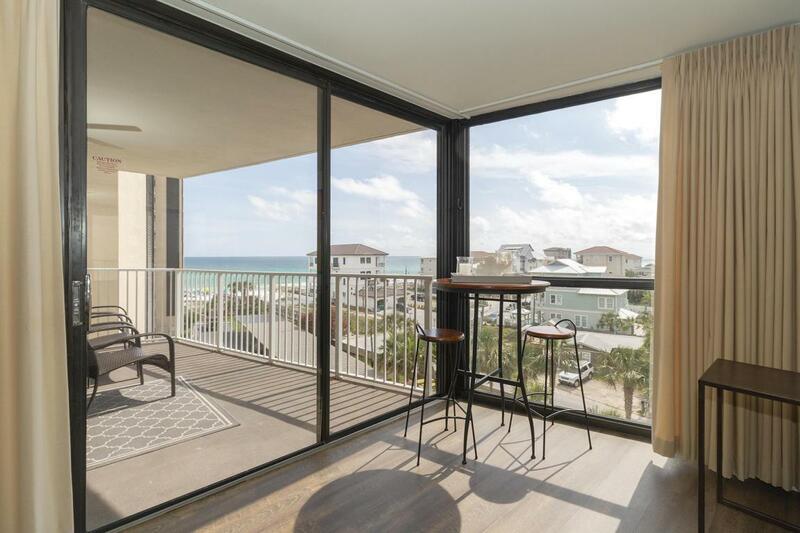 Recently updated, gorgeous 2BR/2BA condo with amazing views of the Gulf & Beach. 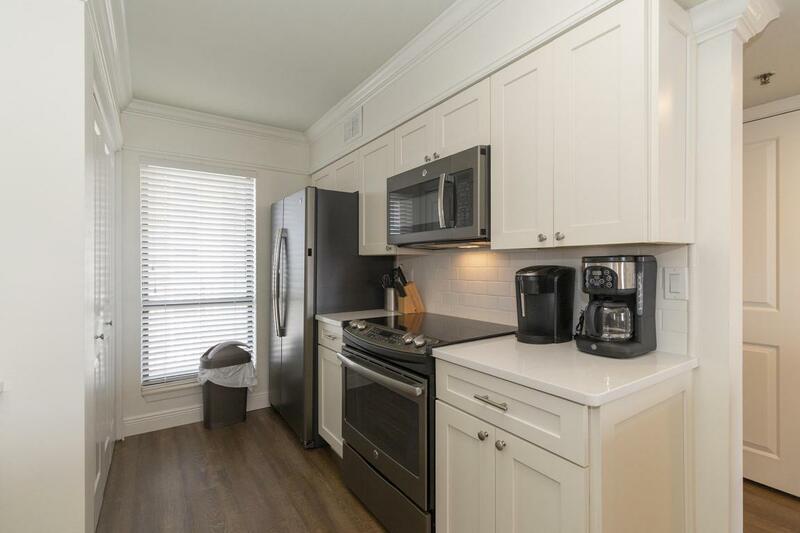 As you enter this condo you are greeted a modern updated feel with crown molding & wood flooring throughout. 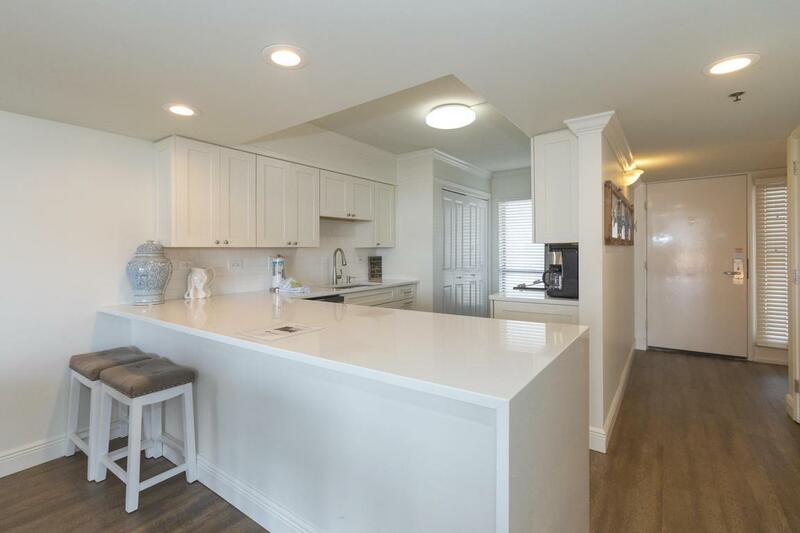 The kitchen has been complete updated with beautiful white quartz countertops, white shaker cabinets, subway tile backsplash & slate GE appliances. The dining and living area is opened with mirrored wall and access to the balcony. 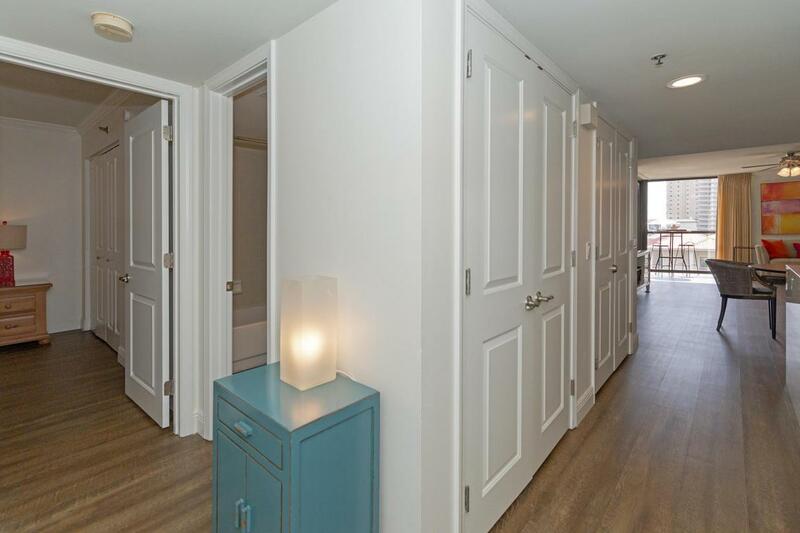 The master suite is spacious with large closet, built-in vanity, & private access to the balcony. There is also a 2nd bedroom, hallway full bath, owners closet, & utility closet with washer/dryer. This unit is being sold furnished and ready for you. Mainsail amenities include 24hr security, tennis courts, 2 large pools, & 700 feet of deeded beach. See you at the Beach!